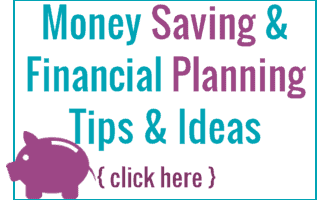 School is almost here and that means busy schedules for us all, especially in the morning when everyone is getting ready for school and work and things can get super crazy. 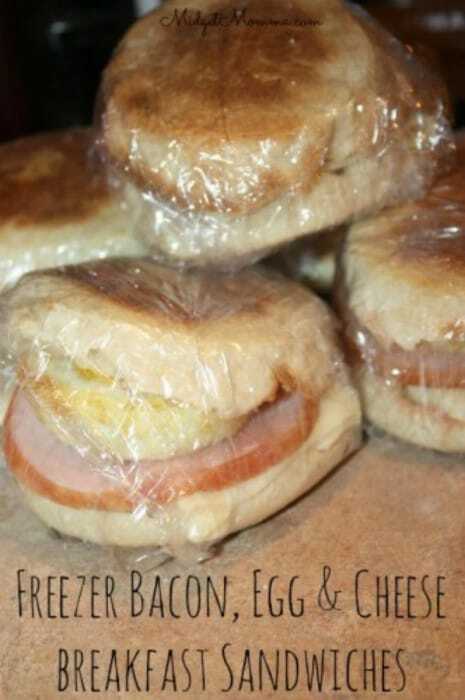 These Freezer Canadian Bacon, Egg & Cheese Sandwiches are a great thing to make mornings easier and you can prep a ton of them in advance put them in the freezer and then on school mornings take them out, cook them in the microwave for 1 – 1.5 minutes (depending on your microwave) and have breakfast done. This Egg & Cheese Breakfast Sandwiches recipe can easily be doubled, tripped or more and only takes about an hour total to do. Putting them together is only about 10 minutes, the other time is the cooking of the eggs. You might want to also check out our other freezer cooking meals that will help with dinner time, 16 healthy freezer meals for the crockpot prepped in 1 hour and 12 healthy freezer meals for under $125. Other breakfast ideas that you can make the night before and have ready in the morning are Nocook Overnight Peach Oatmeal, Nocook Overnight Blueberry Oatmeal and Maple Overnight oatmeal. We also love making Homemade Pancake Mix and making a large batch of pancakes and keeping them in the freezer to grab and warm up in the microwave to have more easy breakfast ideas! Pin Egg & Cheese Breakfast Sandwiches on your breakfast boards on Pinterest! Use a muffin pan to bake your eggs, spray with nonstick spray and then crack all of your eggs, one egg in each muffin spot. Bake eggs in the oven for 40 minutes (check to make sure they are done before taking them out. While the eggs are baking toast your english muffins in the toaster. Heat the canadian bacon for 1 minute in the microwave and set aside. Once you eggs are done it is time to assemble them. On the bottom piece of your english muffin put your cheese, then bacon, egg and put the top of the english muffin on. Once you have assembled them all wrap each one individually in plastic wrap and place in a large freezer bag and put in the freezer. heat in the microwave for 1- 1.5 minutes. Preheat your oven to 350. Use a muffin pan to bake your eggs, spray with nonstick spray and then crack all of your eggs, one egg in each muffin spot. Bake eggs in the oven for 40 minutes (check to make sure they are done before taking them out. While the eggs are baking toast your english muffins in the toaster. Heat the canadian bacon for 1 minute in the microwave and set aside. Once you eggs are done it is time to assemble them. on the bottom piece of your english muffin put your cheese, then bacon, egg and put the top of the english muffin on. Once you have assembled them all wrap each one individually in plastic wrap and place in a large freezer bag and put in the freezer. when it is time to reheat them in the mornings just remove from plastic wrap and heat in the microwave for 1- 1.5 minutes. I am definitely going to try this!!!! !